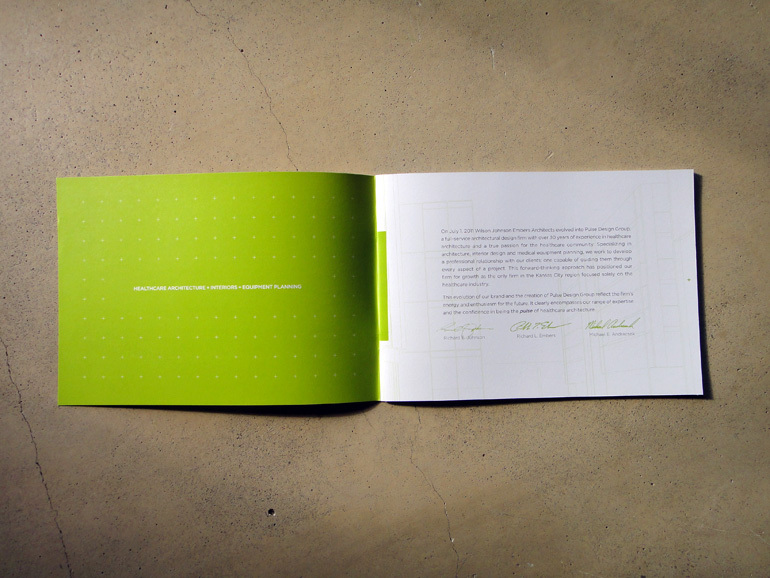 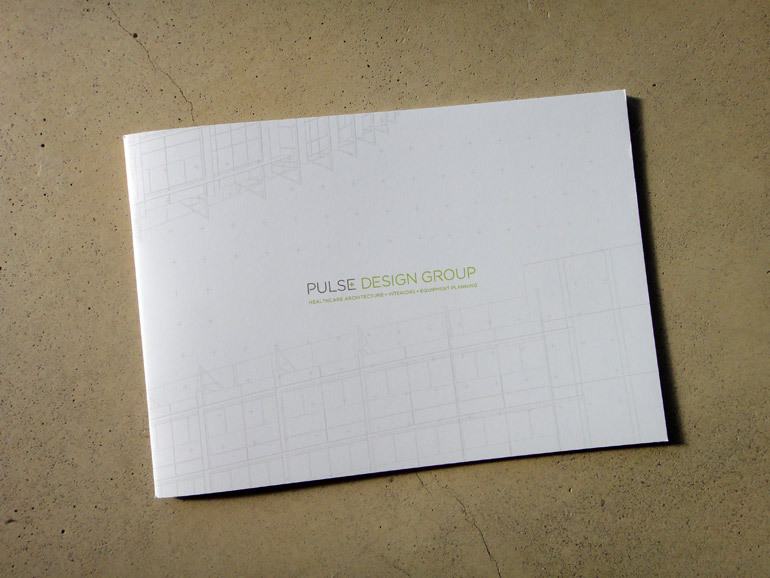 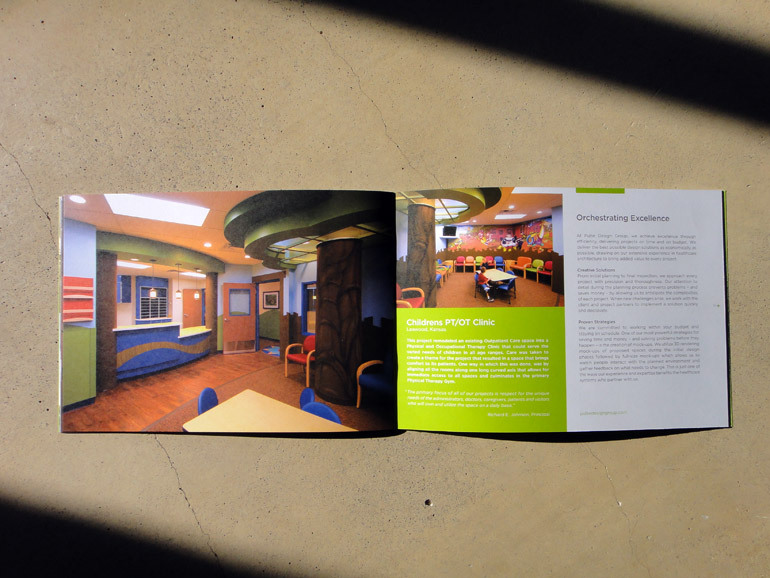 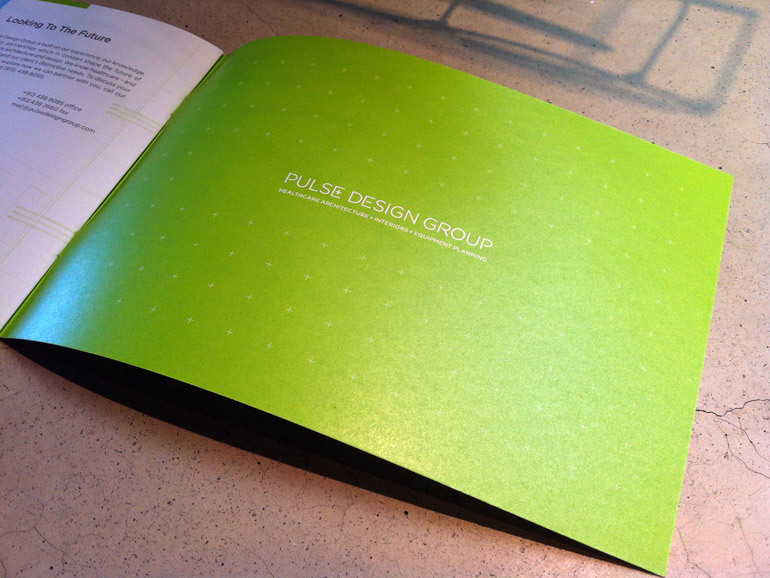 New signature brochure/direct mail piece for Pulse Design Group in Lenexa, Kansas. 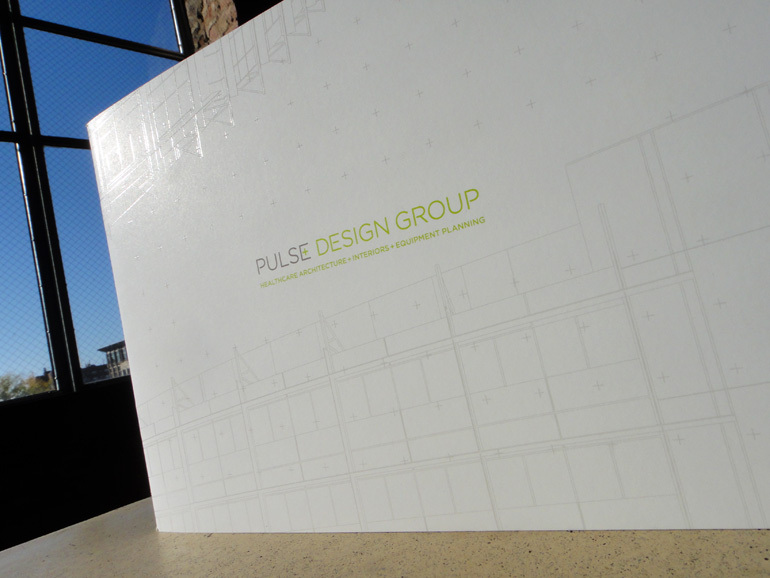 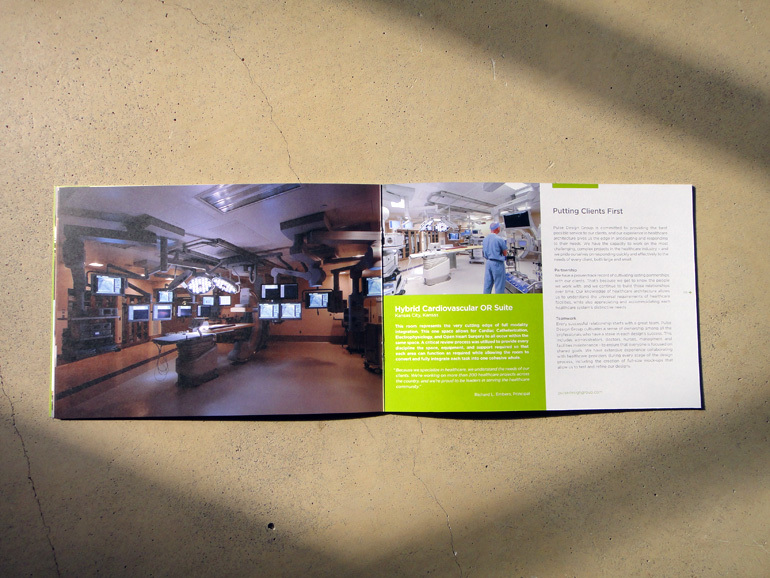 Pulse provides design and medical equipment planning services in the field of healthcare architecture. 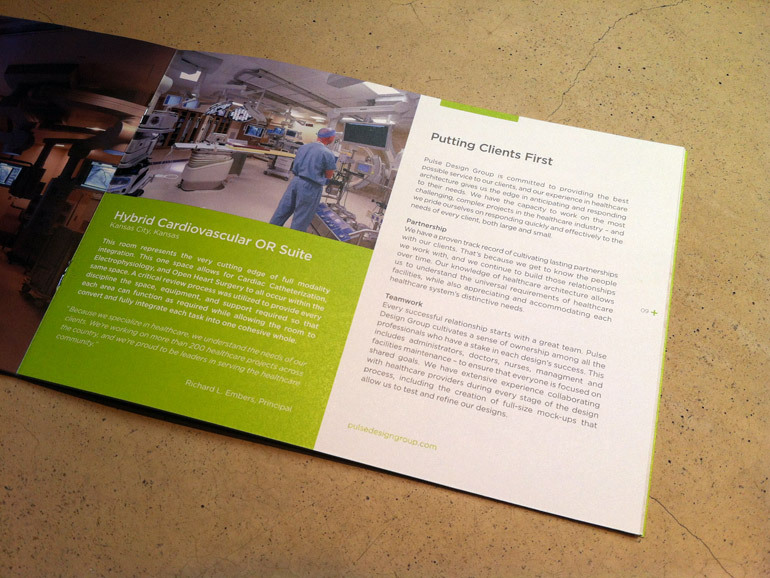 In addition to the naming study and logotype design, our firm provided creative services for the business collateral including business cards, letterhead and mailing envelopes, and their new website.